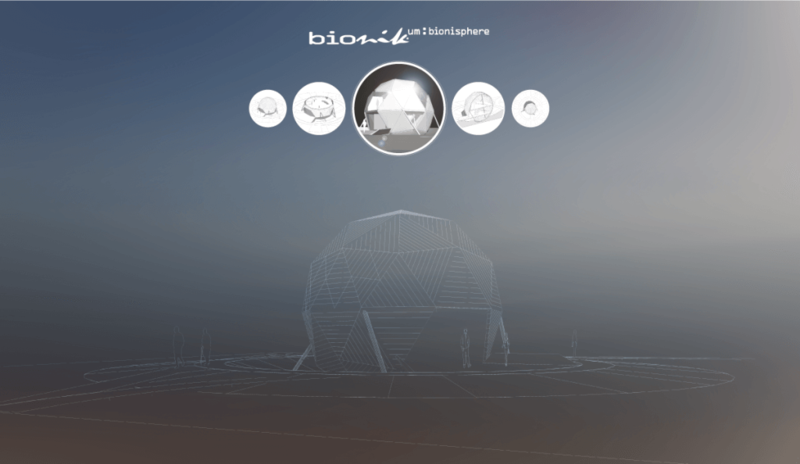 The Master program „Bionik/Biomimetics in Energy Systems“ at Carinthia University of Applied Sciences (FH Kärnten) and „bionikum.austria“ have recently started a new project – »Bionisphere: the Biomimetic House«. The founding father of that idea is D. ID. Mag.art. Peter Piccottini, director of the mentioned study program. It sounds like a futuristic project – but it’s actually not so far from reality as you might think. The house is supposed to be located in Villach, representing a collective knowledge of biomimetic students and other local engineers. The concept of the house is based on combining biomimetic construction principles with the harvest of available energy from a surrounding environment. There are six main technical categories of energy flows and organization where biomimetic designs will be realized – light, cooling & warming, energy storage & delivery, controlling & organization, walls & façades and socio-economical aspect. Ideas for such applications are large in numbers! Today we can already find many innovative technologies for the use of renewable technologies, as well as waste treatment concepts and and waste recycling. This project doesn’t aim the construction of a passive house, a zero-energy building or even an energy-positive house. Its purpose is to harvest energy like animals and plants – in a continental climate with hot summers and cold winters. Sunlight, wind, thermal energy and latent heat are just some of its sources. Several workshops were organized until now, the outer shape of the house has been roughly defined. It is based on a fractal natural structures where triangles are used as basic construction cells. Currently, the project is to be supported by crowdfunding where everybody who’s interested in the concept can contribute a share. Find more information about the biomimetic house here.